In the first months, I felt like a duck among the swans of fiction writers, especially when the round-robin portion of the monthly meeting commenced. Writers talked about the stories they had written the past month, publication acceptances (and rejections), writer retreats, recent published stories or novels. In turn, I talked about editing essays that were not my own, citation woes and calls for proposals. Was fiction and academia from two alien worlds, where we looked at each other, but spoke two separate languages? Was there a place for me as an academic writer/editor? From my perspective, the divide between fiction and academia seemed vast at the time, but I came to realize it was because I was looking at (and for) all the differences between us. Once I was looking for the similarities, that’s when I found HWA wasn’t just about fiction writing, there was room for academics too. With that realization, an opportunity presented itself: co-chair of an academic conference that would be run concurrently with StokerCon. With fellow academic member, Nicholas Diak, we developed a conference dedicated to the study of horror over two years ago. We selected a 19thcentury British writer who wrote fiction and engaged analytically with horror; as a result, we held our first Ann Radcliffe Academic Conference at StokerCon 2017 (Long Beach, CA). While the tenor of the conference was research based, it was not just open to academic members, it was open to all HWA members and the public. In the first year, 14 academics, independent scholars, writers, editors, and publishers convened to present on their respective subjects that included Bram Stoker, Ann Radcliffe, the five senses in writing, horror comics, and many other intriguing topics. The event solidified “community” amongst a group of individuals who were passionate (and critical) about horror studies. The second Ann Radcliffe Academic Conference was held earlier this year and featured over double the number of presenters and spanned two full days! Many participants voiced their appreciation for the opportunity to discuss their research in a focused community. Additionally, I witnessed that academic attendees were present and involved in panels to provide a scholastic perspective and mediate the topic. It was in those moments, where it did not matter if you wrote fiction or nonfiction, “we” had congealed into a community. Hence, there will be a third annual academic conference at next year’s StokerCon (the “Convention” tab of StokerCon’s website)! Finding community wasn’t the only benefit I received from joining HWA. My early interest in Egyptology and more generally mummies, was reinvigorated from being around people passionate about horror. And, because I felt inspired listening to my HWA colleagues, I have crossed over into fiction writing. With baby steps, I first wrote a poem that was selected for the fourth volume of the HWA Poetry Showcaselast year and just last month, I had my first flash fiction story accepted to an anthology. As I find my writing voice in fiction, my nonfiction writing is becoming more complex and nuanced. I don’t think I would where I am at today if it wasn’t for HWA. I got more than I ever expected; I hope I can give back as much as I have received. And on that note…. Welcome to the 2018 edition of Halloween Haunts! For each day in October, members of the Horror Writers Association will present a memory of Halloween, a favorite tradition, share what they have learned in writing horror, as well as brief glimpses into creepy, scary, horrific worlds. Contributors hail from around the globe and include the exemplary talents of Lisa Morton, Tim Waggoner, Robert Payne Cabeen, Eric J. Guignard, Lee Murray, Dan Rabarts, and many other incredible writers. You will not want to miss a single day, so please take a moment and bookmark this page. Each day will feature a different writer’s perspective of Halloween and/or horror. Many writers have graciously offered giveaways (see more details below) and/or excerpts from recent or soon to be released books. It’s a wonderful way to add books to your library, be inspired to create your Halloween traditions, or hone your craft. If you’re a horror writer, horror studies academic or reader of horror who hasn’t joined HWA, please consider doing so. HWA offers many benefits including mentoring, networking, market news, professional resources, and an academic conference. HWA presents the annual Bram Stoker Awards® at the Bram Stoker Award Weekend (StokerCon). You can learn more about joining here: http://www.horror.org/joinhwa.htm. Or send questions to: membership@horror.org. THANK YOU! A huge thank you to all our contributors for sharing their anecdotes, traditions, suggestions for celebrating Halloween, as well as thoughts and advice on horror writing. I’m happy to be back for a second year as editor of Halloween Haunts and I am appreciative of the opportunity to work with this year’s group of contributors. My gratitude to Angel Leigh McCoy working behind the scenes (website) and to Greg Chapman for designing our fantastic Halloween Haunts banner! A huge thank you to Lisa Morton (and HWA) for corralling additional giveaways and graciously offering our grand prize this year – woot woot!! GIVEAWAY RULES: In addition to their posts and excerpts, several of our contributors are offering e-book, print copies, and other prizes for the lucky readers who enter in each giveaway. If an author is offering a giveaway with their post, it will be noted and the prize described. Readers can enter the giveaway by posting in the comments section or enter by e-mailing membership@horror.org and putting HH CONTEST ENTRY in the subject line (don’t forget to indicate which day you are entering). To be entered for the grand prize, make a comment on a post some time through the month (or by emailing membership). For each day that you comment on a post, you’ll get an entry for the grand prize, up to 31 entries or chances! Comments and e-mail entries must be received by midnight (PST) October 31, 2018. Winners will be chosen at random and notified by e-mail. You may enter once for each giveaway, and all entrants may be considered for other giveaways if they don’t win on the day they posted a comment. Now, for the part you have been waiting for..
TODAY’S GIVEAWAY: I am giving away a print copy of one of the mummy reference books I am using in my research, Paula Guran’s The Mammoth Book of the Mummy: 19 Tales of the Immortal Dead(2017), a contemporary collection of mummy stories. HALLOWEEN HAUNTS GRAND PRIZE: One 4-day StokerCon 2019 ticket (worth $185) for next May’s convention being held in Grand Rapids, Michigan! Check out StokerCon.org for full details! 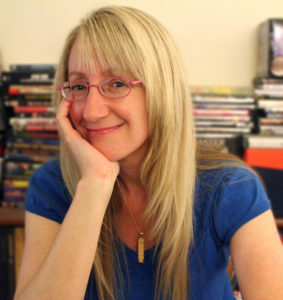 BIO:Michele Brittany, editor of the Bram Stoker Award for Nonfiction nominated Horror in Space: Critical Essays on a Film Subgenre(2017, McFarland & Co. Publishers), is currently writing on her first solo non-fiction book on mummies. 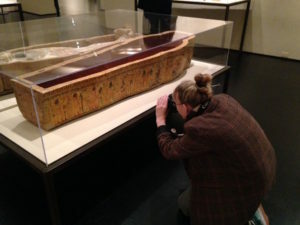 Each week, you can read her blog, Michele’s Musings on Mummies. Additionally, she is the Book Review Editor for the Journal of Graphic Novels and Comics, Editorials Manager for independent publisher Fanbase Press, and a regular guest on the Voice of Olympuspodcast. An active academic member of HWA, she is the co-chair of HWA’s Ann Radcliffe Academic Conference. Always liked a good mummy story. Glad to see the Halloween Haunts up again for 2018. I look forward to this every year. Thanks for editing another round of Halloween Haunts, Michele! I loved reading about your experience as a horror academic and how you really brought the academic side of HWA to life (and I loved participating in the Ann Radcliffe conference in 2017!). Your mummy book sounds awesome… mummies are so cool. I would love to give that one a read. I feel like I need more mummy stories in my life. Thank you Joanna and we’ll have to chat about mummies at a meeting soon. There are several anthologies out there that are worth a read. As a writer with feet in both the academic and the fiction worlds, I think that much can be learned from both. One of the things I look forward to most in planning a new story is the research. And while the genre conventions (so to speak) for academic papers are different than fiction conventions, the best academic works I’ve read always tell a story. 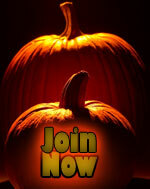 Looking for a great month of Halloween Haunts! Well said Donald and thank you! And, of course, it’s great to have you back reading and commenting on posts again this year! Wonderful! Thank you, Michele! I wondered how the Ann Radcliffe Conference came about.